Arthritis can affect anyone. Although people tend to think that it can only happen to the elderly, arthritis has become a lifestyle disease among the new generations. The lack of activities, sedentary lifestyles, and multiple genetic factors can result in the early onset of arthritis. Arthritis does not affect all joints equally. In some, the problem begins in their lower limbs and the others, the wrist and fingers are the initial victims of pain and swelling. What causes arthritis of the wrist? The wrist is a complex joint, which connects the forearm to the hand. 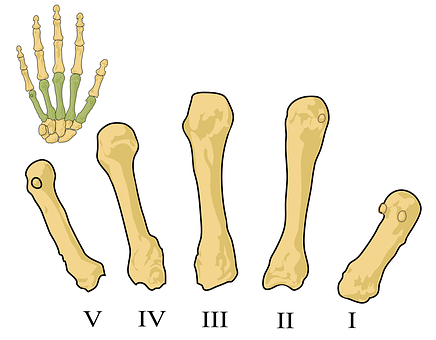 The two bones of the forearm – the radius and ulna comprise the wrist joint along with the carpal bones. It is possible to move a healthy joint due to the presence of the articular cartilage that covers the bones and prevents friction. Osteoarthritis results from the normal wear and tear of the joints and the protective cartilage. The smooth cartilage can wear out over time. The lack of blood supply to the cartilage deprives it of the ability to regenerate. It increases friction between the bones. It can lead to pain and stiffness of joints. How can one manage wrist pain from arthritis? A person can also develop osteoarthritis from Kienbock’s disease. That happens when there is discontinuous blood flow to one of the carpal bones. The disrupted blood supply to the lunate bone can lead to a slow collapse of the bone. It can develop arthritis in the joints around the bone. There are non-surgical treatment options for those with minimum symptoms and manageable pain. There are NSAIDs, steroid injections, immobilization therapy, activity modifications, and specific exercises to increase mobility. However, for those with severe symptoms, chronic pain, and degeneration of the bones, there are surgical options too. What are the surgical treatment options for treating arthritis of the wrist? It involves the surgical removal of the three carpal bones in the lowermost row, closest to the forearm. It reduces friction and alleviates the pain. You can think of this as a surgical “welding” process. The orthopedic removes the cartilage and immobilizes the joint with the help of pins, screws, and plates. Over time, the bones fuse to stabilize the wrist structure. Partial fusion involves the immobilization and fusion of only a few carpal bones. This process is more intensive as the surgeon replaces the entire damaged cartilage and bones with new plastic or metal joint surfaces. It can relieve pain and restore complete movement of the wrist. However, before you think of opting for surgical treatment, you should consult the best available orthopedic surgeon who has the training and experience to perform the procedures successfully.